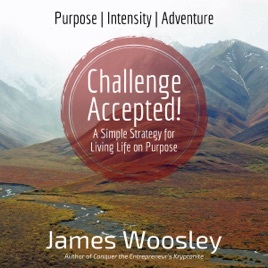 In 2013, James Woosley pursued 40 goals before his 40th birthday. He didn't realize it would end up being the most intentional year of his life. This book is about his journey, but more importantly, it's about yours. Purpose - You live your life differently when you have a mission, even if you still don't understand the "meaning of life." Defining a collection of goals is a purpose, if only to point you in the right direction. You have a better chance of getting there if you're moving. Intensity - There's already a spark of desire inside you. Setting ambitious goals and firm deadlines will feed that fire and get you moving. Along the way, you may just wake up to all that life has to offer. It's time to move forward with intensity. Adventure- We all want adventure, but we don't all want the same adventure in the same way. Yours is calling to you, begging you to come out and play. Will you answer the call and find your adventure? You may just find something that feeds your soul.